Since Gary took me to see Beauty and the Beast at the Royal Albert Hall with a live Orchestra for my birthday last year, it's been my mission to see as many of those shows as possible. As a musician and a film buff, it's pretty much two of my favourite things combined. Last year, I was absolutely gutted that I missed out on the showing/performance of Harry Potter and the Philosopher's Stone due to the crazy demand, I watched instagram stories with such envy. This year, I refused to let that happen so I was online on release date desperately trying to get tickets but I once again failed. Somehow, the gods (old and new) smiled down on me. A friend knew someone with spare tickets. At the very last minute and £60 lighter (worth it), I had my hands on a pair and poor Gary had to deal with my excitement and happy tears. Again. It's obviously been forever and a day since I last saw a Harry Potter movie on the big screen (no, I'm not including Fantastic Beasts this time), so it took me straight back to those earlier years. The anticipation of what was going to happen and seeing young kids and many adults dressed up in costumes for the occasion. I'm a weirdo who likes to dress up, dress up for the theatre so only took my scarf and wand this time. A little bit gutted about that after I saw someone wearing a Keeper costume... Why don't I have one? 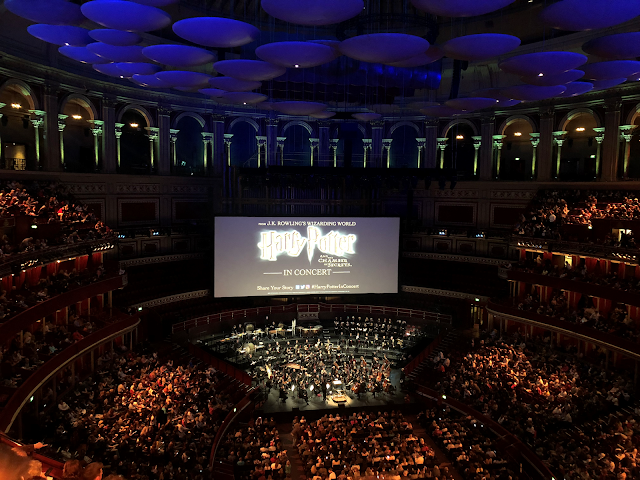 For me, the orchestra added a new layer of magic to the whole experience. That could be because of the musician in me, but there were moments where I felt more involved and almost a part of it all. It was even more moving than just watching it at home. Every crescendo was even more intense and finally listening to Hedwig's Theme live definitely brought a tear to my eye. Also, the difference to with my little community orchestra is VERY clear. One of the things (other than the obvious demand) that put me off tickets for other, non Harry Potter related, Royal Albert Hall performances was what I thought the cost would be. It turns out, it's really not that much, you just need to know where to look! With our second hand tickets, I paid the full price including booking fee because that's fair (and I normally refuse to buy tickets from other sources). Seats where we were are only £30 each and as you can see, the view really wasn't bad! Much better than when Gary and I stood in the heavens for Beauty and the Beast. With tickets for The Prisoner of Azkaban now available, I'll be going straight there to book tickets. It's conveniently playing just before my birthday which is pretty much a sign that I must go anyway. I just hope there are still tickets available on payday... turns out booking holidays is expensive other wise I would have booked already! 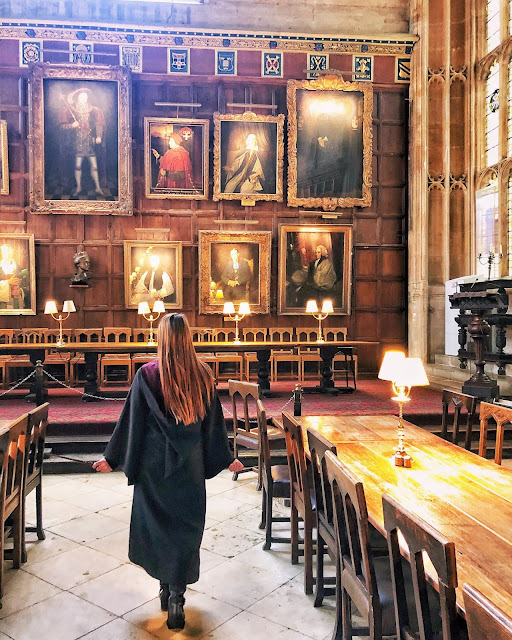 How many people do you know who will take a day off work just to run around Oxford in Hogwarts robes? Just me? Oh, ok then. I'm cool with that. As part if my 12 in 12, I'm trying to see more of the UK as well buggering off to far off countries. There's so much more than the usual beer gardens, streets and sights I see every day. Oxford is one of those places I have always swung through on my way to other events/places, never really spending an hour or two. 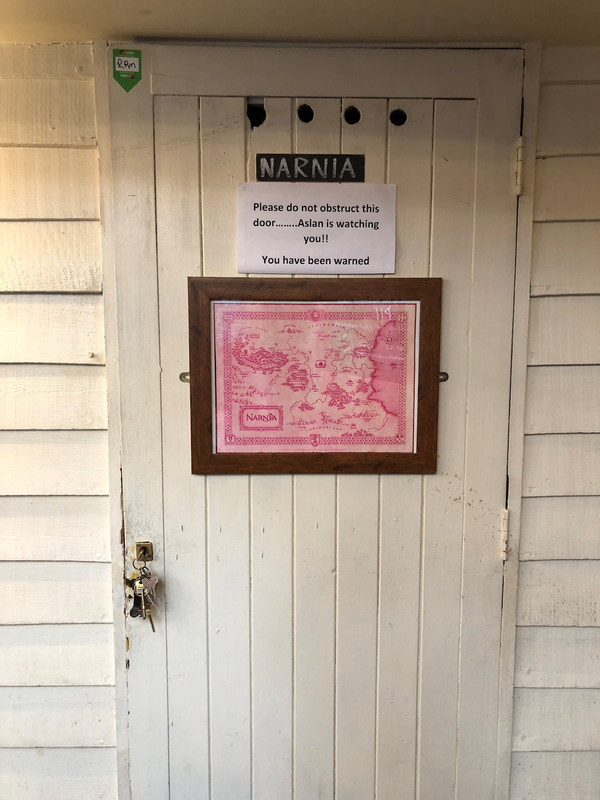 It's home to so many literary inspirations that a Pilgrimage had been on the cards for a long time. 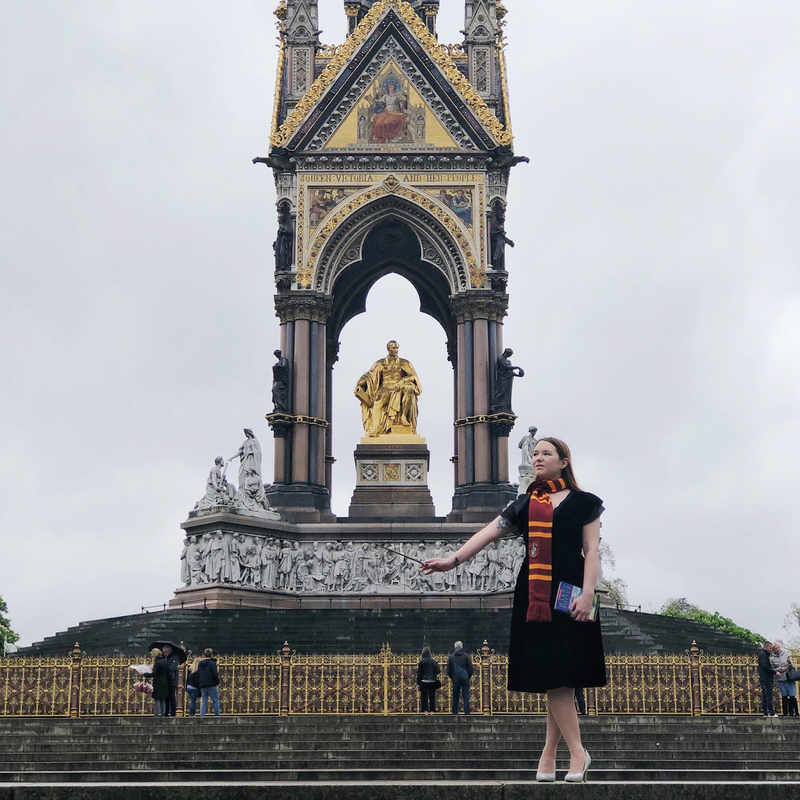 All I needed was some fellow nerds, a couple of wands and robes. Many people already know that Oxford is essentially 'home to Hogwarts' in a way but it's also the inspiration behind the Shire, Lyra's home and the start of the journey to Narnia. Basically everything I love. 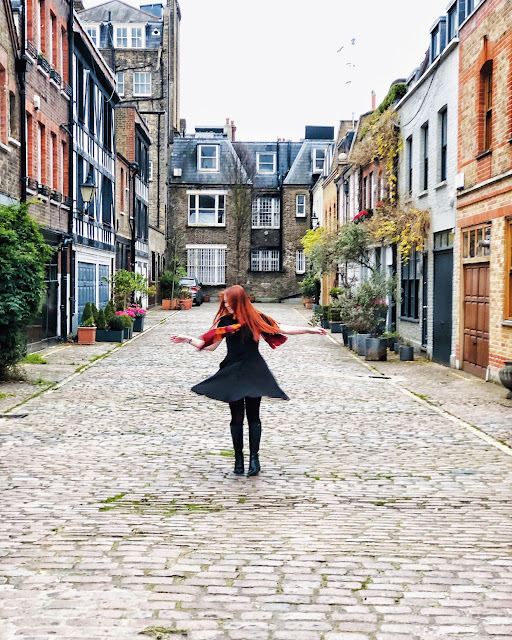 As we're ridiculously unorganised people sometimes, we booked our travel on what felt like the ONLY day there wasn't a free literary walking tour happening so we mostly survived off Google Maps and finding our own way to things. Out first stop of our nerdy adventure was to sit where Tolkien and C.S. 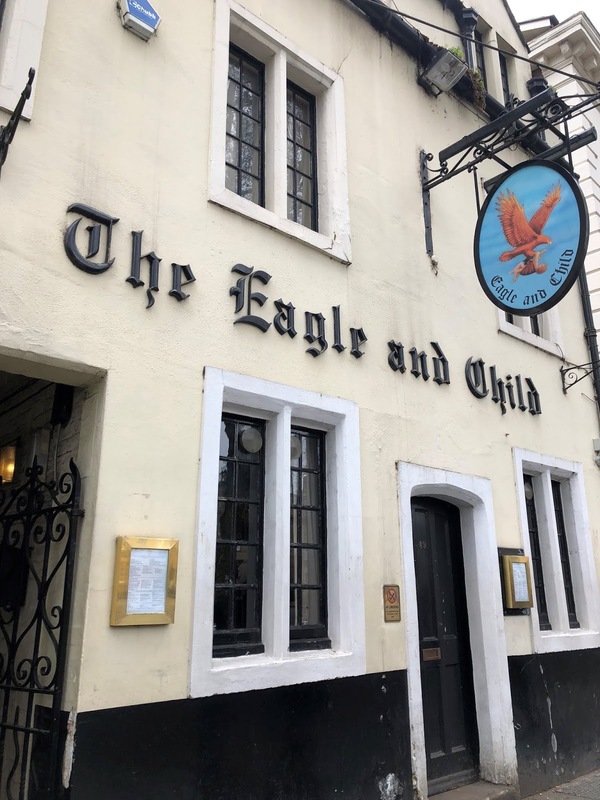 Lewis used to meet, the Eagle and Child. Just being there made me beyond excited for my trip to New Zealand later in the year. Especially after I saw this sign.. something I quote far too much for my own good! 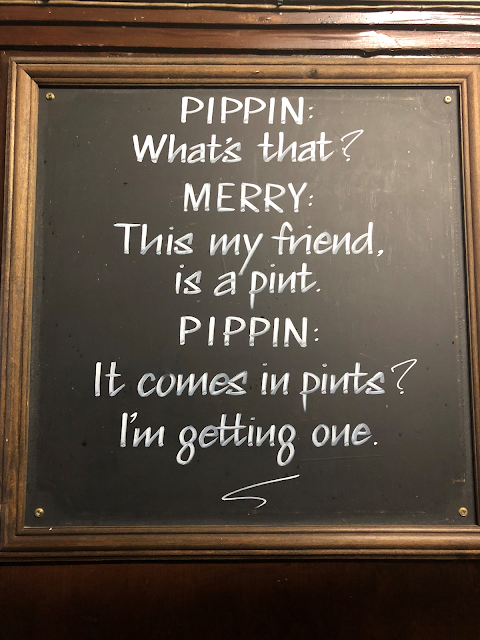 I guarantee you, I will say this at least once in Hobbiton, even though they don't serve pints in the Green Dragon. 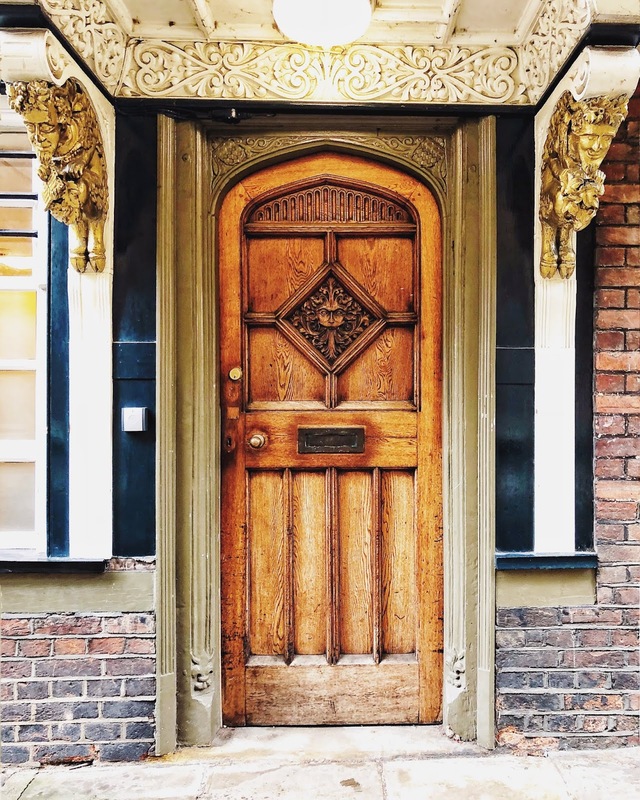 With Oxford being as small as it is (in a way), we walked everywhere and managed to find everything we wanted to see as well as other little bits we weren't looking for, such as the inspiration behind the door to Narnia (above) and stunning architecture every where. The only REAL thing on our list was to pay a visit to Christchurch university. We wanted to go up those stairs, huddle in the cloisters (despite Umbridge's Educational Decree number 26) and hang about in the Great Hall. in robes. Looking awesome. I have no idea how many tourist pictures we're in now but they all LOVED us... and copied our poses. There are a lot of things we didn't get to do because we were disorganised and ran out of time. If we had arrived a wee bit earlier, we would have been able to get to Christchurch earlier and therefore wouldn't have had to pick between the Colleges. 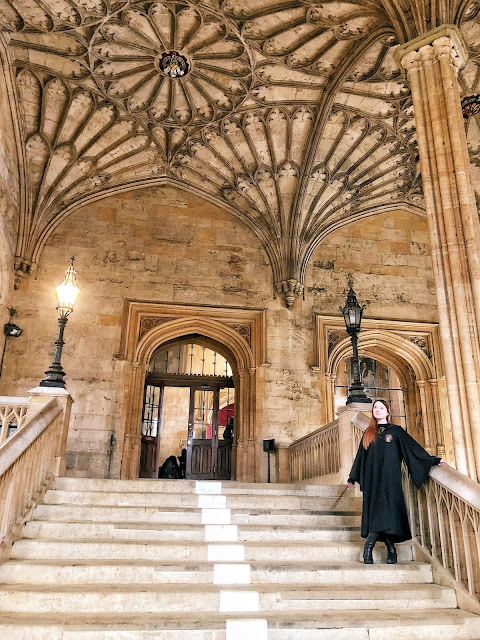 Bodleian Library is still up there on my list now so I guess I'm just going to have to go back soon. Jordan College from His Dark Materials, (called Exteter College in real life) is still up there but getting lost in the streets of Jericho has finally been ticked off. We resorted to Google to find out some things but if you manage to get there on a day when the Literary tours are happening (i.e., not on a Bank Holiday) you'll be able to find out so much more than we did. At the same time, make sure you get yourself a little bit lost and enjoy the beauty if the city. Take a moment to look up and around you. Don't make our mistake, guys. Get there early or spend an extra day if you want to do everything.